The ORSITALIA company embodies over 65 years of experience in the world of Classic and Contemporary Baroque furnishings. Orsitalia's Young Designer Matteo Orlandin presents the new Modern Collection with Baroque touches in order not to loose its history and identity. In 1950 the founder Angelo Orsi, skilled mastercarver, starts his long career as a businessman in Meda, Milan, in the heart of Brianza which is the symbol of excellence in manufacturing and Italian designs, where, in 1972, he founded the furniture’s company that bore his name. 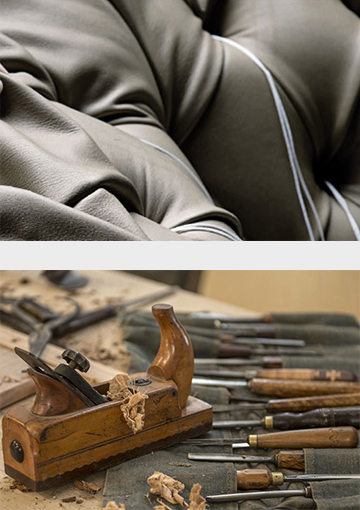 The company has showed a strong international spirit since the beginning and made soon a name for itself as a symbol of Made in Italy craftsmanship in all areas of his branch, both in Italy and abroad. In 1993, thanks to his children Carla and Oscar who entered in the company, they reach a new turning point. Thanks to their ideas and their creativity, the firm has exceeded the boundaries of the classic Baroque and in 2001, with the creation of the Oscar® brand, the company has opened its doors to the world of design. This encounter gave birth to a line of products that revisited the Baroque furniture in a modern and contemporary view, creating a perfect combination of classic and modern style. Thanks to the revolutionary idea of combining the classic baroque furniture with new material, such as fur, and bright and shiny colors, the company has received high acclamation all over the world. The constant desire for innovation in 2009 has lead to the birth of the new brand Oscaritalia®, that has characterized a line of elegant and sophisticated models and even an outdoor line. Today the company has entered in the third generation, thanks to the entry of Angelo’s nephew Matteo at the helm of the family business, who founded our new firm ORSITALIA. ORSITALIA has the purpose to unite the classical world, that gave born to the Orsi Angelo company, and the world of design that characterized the brand Oscaritalia®. Orsitalia is born with the aim of valuing and customizing the baroque world that characterizes our history since the beginning, while keeping intact the pursuit of modernity and innovation that has always distinguished us, rigorously Made in Italy.